There is nothing more enticing than the prospects promised by a successful business partnership. A working rapport with a like-minded individual, whose aspirations are as large as yours, can provide limitless opportunities. However, investors intent on forming partnerships are tasked with the challenge of finding someone specifically tailored to their business model. Keep in mind that this is not a decision to be taken lightly. The right partner could be the key to your business’ longevity, whereas the wrong partner has the potential to lead to its downfall. With such incredible stakes on the line, how do you go about determining a right partner from a wrong partner? Before you can even consider the addition of a business partner, you must conduct a self-evaluation. Understanding your current position as a real estate investor, in association with your tangible skills, will ultimately delineate between the characteristics you require out of a partner. Your goal is to find someone that compliments your strengths and mitigates your weaknesses. You must conduct an honest self-evaluation in which you assess your own strengths and weaknesses with a critical and impartial eye. Doing so will reveal an unbiased view of yourself that you may not have been aware of. Self-awareness, for all intents and purposes, is the initial step to becoming a well-rounded individual. Understanding where you excel will ultimately play to your advantage. Conversely, confronting individual flaws will force you to meet them head on and perhaps turn them into strengths. Essentially, your self-evaluation will uncover your personal goals, desires and how to go about attaining them. While the importance of a self-evaluation can’t be overlooked, it will be rendered irrelevant if you aren’t completely straightforward with yourself. Accordingly, you must fight the urge to embellish your achievements or to omit any weaknesses you may have. Honesty is truly the best policy. Any attempt to stray from the facts will only hurt your prospects of entertaining a proper business partnership. The self-evaluation process does not end with you. 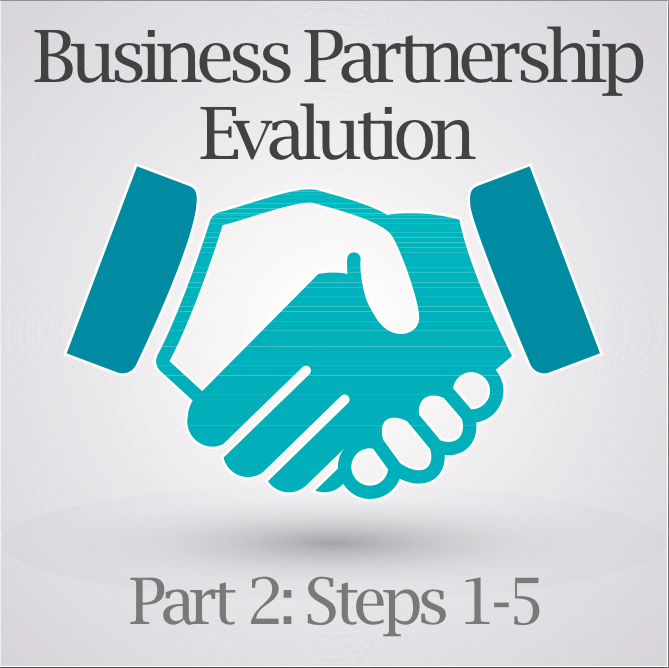 A successful business partnership requires each party to evaluate their strengths and weaknesses. Doing so will give you a tangible comparison of each person’s individual assets and flaws. The benefit of having a partner lies in the fact that they are able to support you in the areas in which you are weak. Use these evaluations as a means to reflect on the individual assets that will compliment each other and which ones will serve as potential pitfalls. Be sure to address each issue up front with an action plan. One of the most important aspects of having a successful real estate business partnership is having a better understanding of yourself and your potential business partner. Knowing your dominant personality type will help you understand exactly what you need in a business partner. Your objective here is to uncover two variables: how assertive that individual is, and what his or her natural tendencies are. Establishing a familiarity with your potential business partner will facilitate communication, the key to a successful business partnership. Essentially, addressing them in the appropriate manner will allow you to communicate in a language that both drives and motivates them. Otherwise known as “emotional intelligence,” this particular approach to communication permits partners to connect on the level required to run a business. Individuals who are emotionally intelligent have the ability to control their feelings and act calmly and rationally in even the worst of situations. Learning how to communicate with your partner, in their particular “language,” is critical to fostering a team environment. As it relates to partnerships, you should identify skill sets and dominant personality types that are different than yours — you want an even balance between the two of you in your business. It is equally important to know how to act around someone. decision – which is due to their need to fully evaluate all of the data at hand. The driver is a personality type that prefers to take control of the situation. They are inherently strong-willed, direct, forceful and decisive. Accordingly, they are not likely to sugarcoat their views and can be very persuasive. These traits promote a willingness to take risks that others are usually not willing to. Similar to that of the analyticals, drivers are very task-oriented. Loyal and dependable, the people pleaser is someone you can count on. They are often seen as a hard worker that fosters a cooperative environment. Team players by nature, the people pleaser is intent on listening to advice from others and goes out of their way to avoid conflict. However, their weakness lies in their indecisiveness and overall incapability to take risks. Exhibiting strong personality traits, the social butterfly excels in social interaction. They are appealing, accepting and verbally skillful when speaking to others. Their personality exudes compassion, acting as a highly persuasive tool. Their diplomacy is perhaps their most valuable asset. In following the three previous steps, you should be more acquainted with yourself from a business perspective. Hopefully you have been able to determine your primary real estate focus, strengths, weaknesses and personality traits. Assuming you have been 100% honest with your self-assessment, you are ready to determine what you need out of a potential business partnership. To begin your search, identify five main reasons you are looking for a business partner in the first place. This list may include anything from funding to knowledge. If you need access to it, list it. Having a tangible list will clearly identify some of the most important reasons you may want to enter into a business partnership. A business partnership should only be considered if you have previously established a working rapport with the particular candidate. However, it is equally important that the said individual shares your aspirations. They must exhibit a propensity for growth and value. Investors are, therefore, advised to evaluate their potential partner’s personal competencies. A proactive approach will prevent any inadequacies from damaging the relationship in the future. As there is no equation for determining an individual’s competency, you must approach this task objectively. Compile a list of questions that will better reflect their personal strengths and weaknesses. 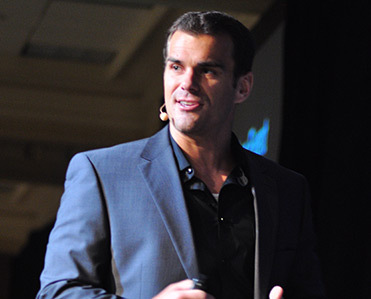 The objective is to discover, specifically, how they may add value to your business partnership. Conversely, it is equally important to establish their potential liabilities. Knowing where they can improve may be more significant that what they can contribute. Their answers will play a large role in determining whether or not they are a fit for your business. More often than not, this particular step is eye opening. Honest answers may force many investors to realize how unfamiliar they are with their potential candidate. If this is the case, it is advised for investors to try partnering on individual deals. Hold off on entering into a business partnership until your competencies are more in line with each other’s. To proceed to steps 6 – 10, click here.